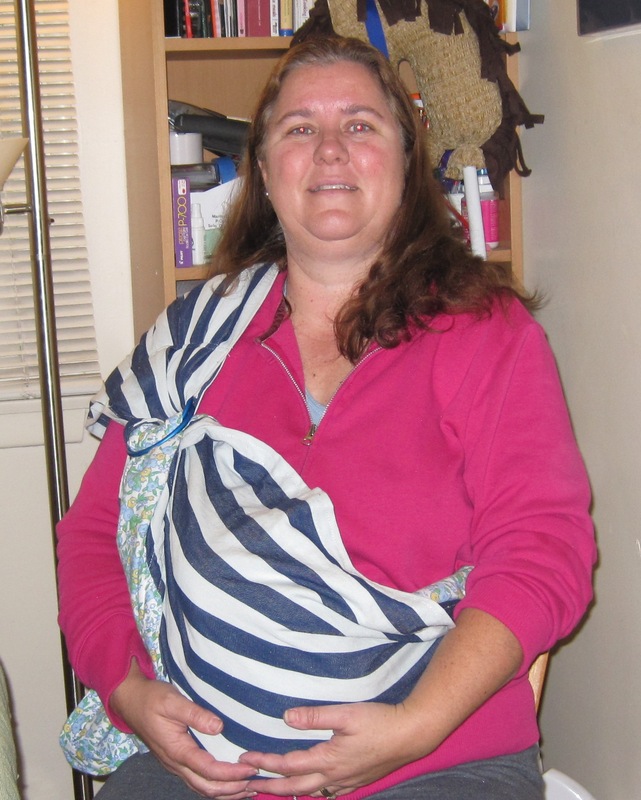 I have just completed making a baby sling for Kasey it was on his wish list of baby thing he wanted. The pattern was amazingly easy 2 1/2 yards of fabric( cut in half the long direction) and 2- 3″ rings. I lined the sling, but the sling is often made without the lining. All I did was sew the two fabrics right sides together the long way then cut one end down to a point and sew the point closed. I then turn the fabric so the right sides were out and pleated the open end down to about 5 inches, I then folded over the pleated end and threaded the two rings through before I stitched the end down. I now have a completed sling.